Would be nice to see the ECM upgrade this morning too so we get a full house! 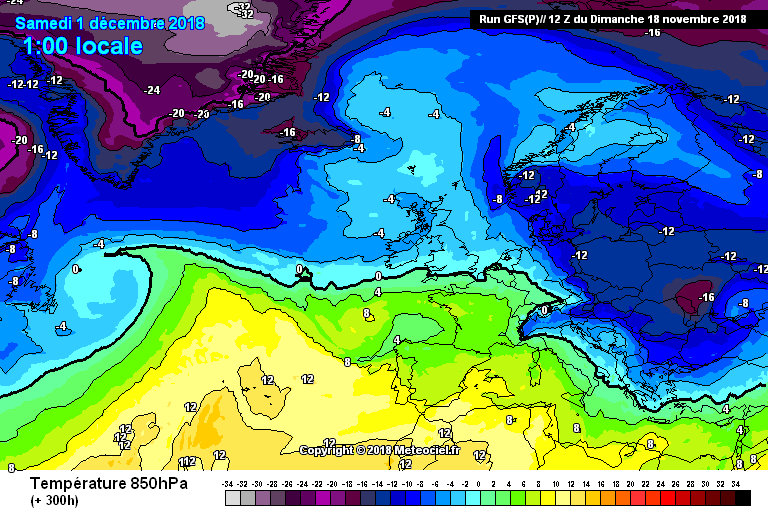 Look at all that lovely cold air just to our east on the RV3, won't take much for that to edge westwards surely. Thought I would borrow Nicks crayons and give some newer members some direction. 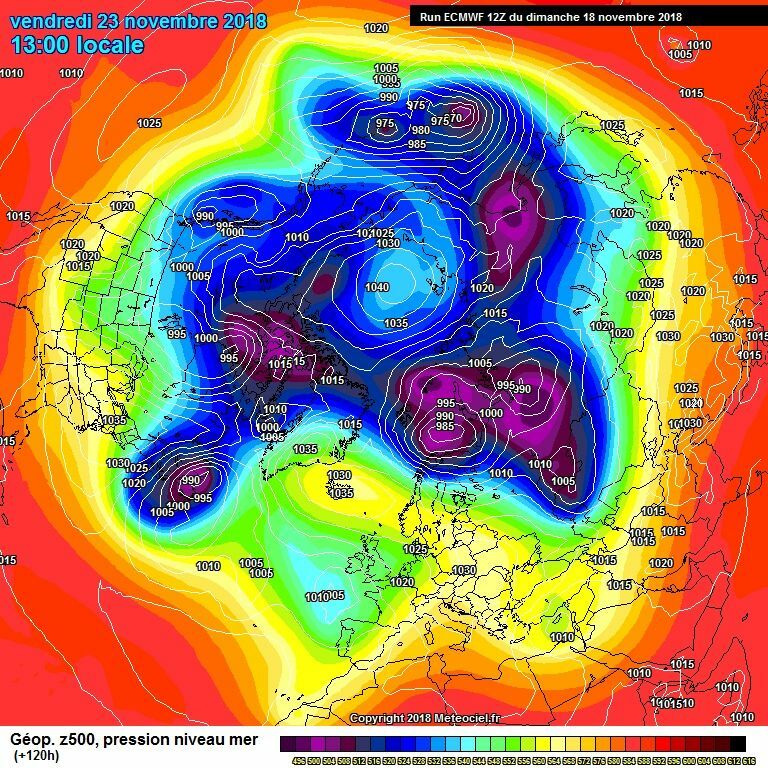 The embedded Euro trough (1) pushes toward the UK and into the Atlantic before it it stalls and reverses back East toward the continent, the complexities of how this will affect the pattern short term are endless because timing is as key as placement and direction of travel and development. We want Arctic lows (3) exiting Greenland and coming over the top of the high(3) to push more S than E (sharpening trough on E flank of high) and so squeezing heights W/NW instead of them sinking SE into the continent. 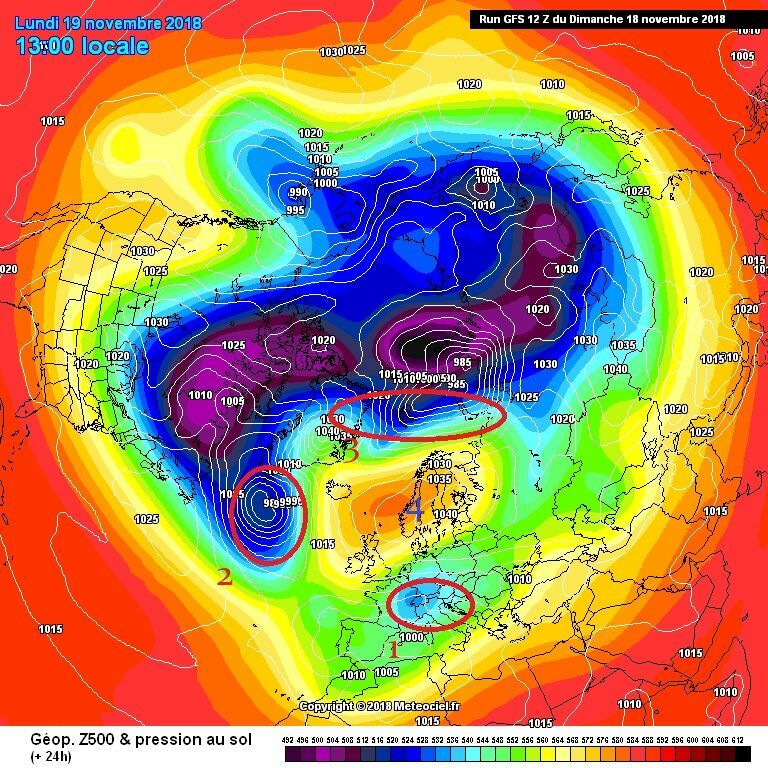 There are 3 of these troughs within hi res charts, the first circled 24h and another 2 programmed to push SE around 96h and 144h as first the Atlantic low(2) and then another developing low ride over the high and exit NE Greenland. 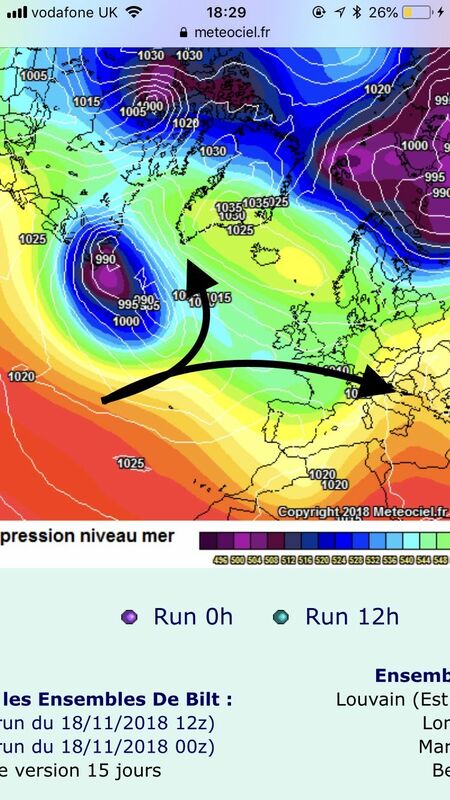 Those are the major short term drivers for our focus of interest out to about 120h before we have the next Atlantic low modelled to push SE and become a cut off trough. 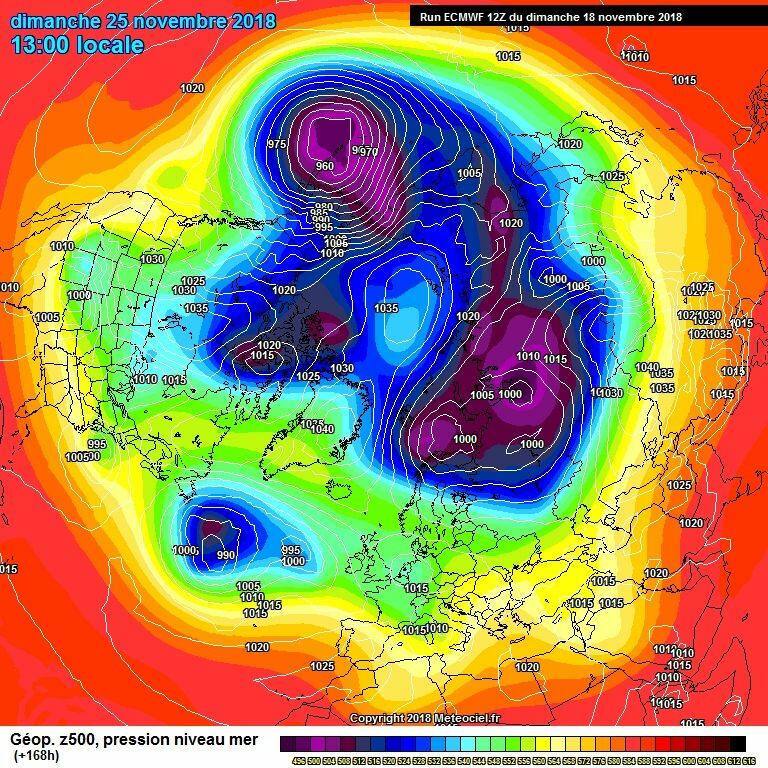 The further NW core heights are as that low attempts to drive East/and and the sharper and further W the trough through Scandi the more easily it will disrupt SE and aid retrogression of heights NW which in turn opens the door to an Arctic flow. The further SE core heights are at this point the less the Atlantic low will be forced SE and the more it will shunt core heights E via forcing which means any arctic trough cannot push S toward the UK and so we simply get heights drain away SE into the continent as with this GFS 12z run. Deep FI isn't worth looking at currently. 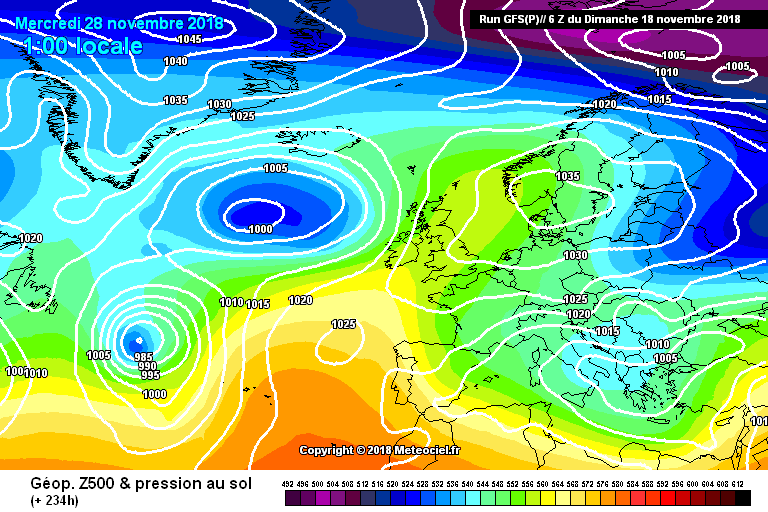 Hoping ECM can improve slightly upon the 00z and GFS has it wrong. Yes, i was just thinking the FV3 in deep FI was looking a bit Jan 1987ish - only a teeny weeny bit though. It is the soon to be GFS. Currently called the GFS parallel or GFS(p) if trials go well it will replace GFS in Feb or March. So far it’s outperforming the current GFS so very likely that it will. 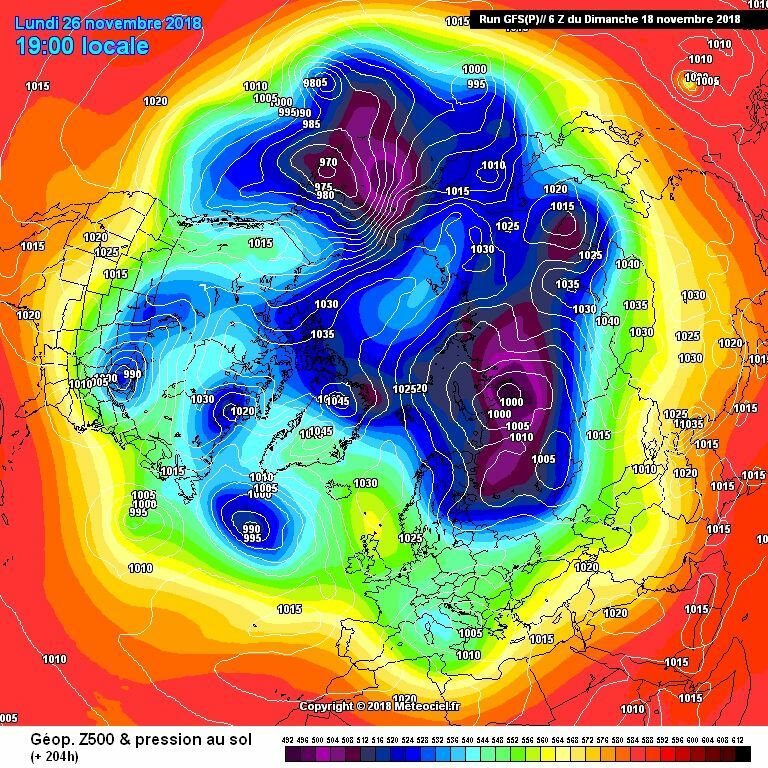 Think that any cold spell down the line with start with a huge Uk high as suggested by a couple gfs ensemble members but still looking pretty phenomenal in terms of prospects at this point in the year and anyone who is angry or upset has far too high expectations. 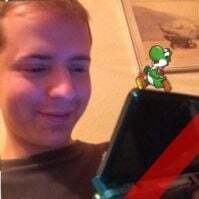 2010 was a one off. 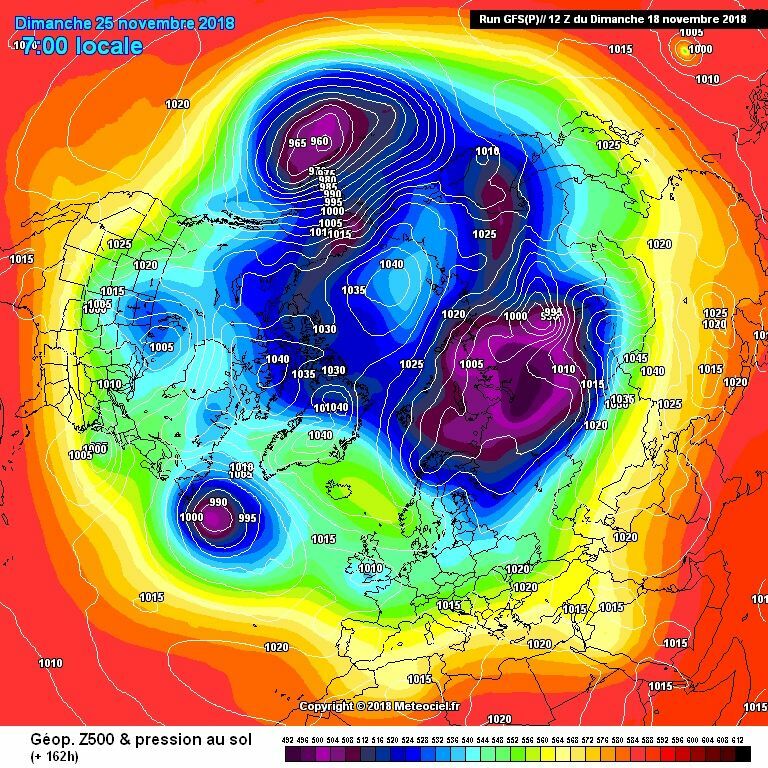 FV3, stands for Finite Volume Cubed, is the parallel version of the GFS, expected to take over in Jan 2019, it verifies well and we like it if it suggests snow. Seriously, it is a significant upgrade to the US weather model. 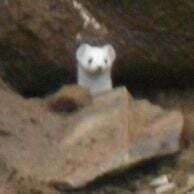 Horlivka is a city in Ukraine. 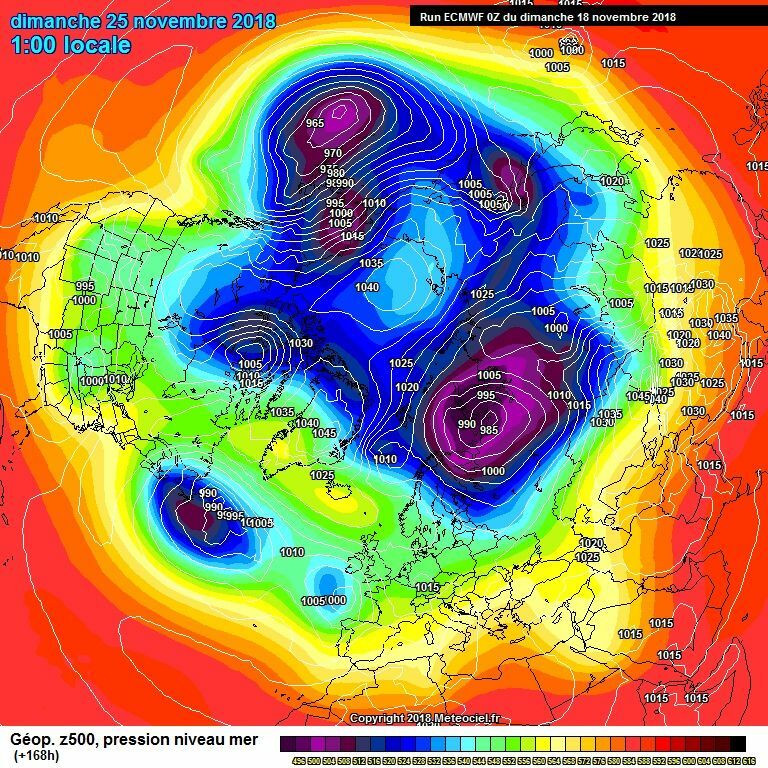 Some people refer to it as the GFS Parallel. Must admit, found Mike Poole’s explanation with the part about snow, rather amusing! Thank you Ed, Mike & Mucka, very helpful of you all. Definitely bring it on if it 'accurately' and regularly suggests snow! Since we’re back on the topic I think I will expand on what I said before. In my experience with a continental flow I generally find the following conditions are the most important for a good chance of precipitation to fall as snow. 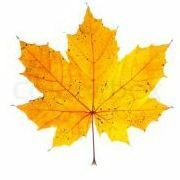 T850 below 0°C (<-2°C preferable).  500-1000 thickness can usually be ignored. Wind off-shore if near coast. Light surface winds and heavy precipitation give you a great advantage and sometimes a little leeway beyond the above margins. If T950/T925/t900 is below 0 but T850/T800 is not then ice pellets/freezing rain/rain will result depending upon the depth of the frozen boundary layer. Also bear in mind the continent is not yet very cold so this method might not work at this time of year, however I am sceptical as to whether this will make much difference. I suspect it would only affect the very bottom of the boundary layer up to say 950 mB. Getting the perfect synoptics in the UK is like baking a good cake, we usually lack the ingredients, but right now they are all there and for the taking, it's not just hints and clutching at straws for something to turn up. Will we have something really tasty turn up by early December, It seems to me that we are in a far better position this year for something special. 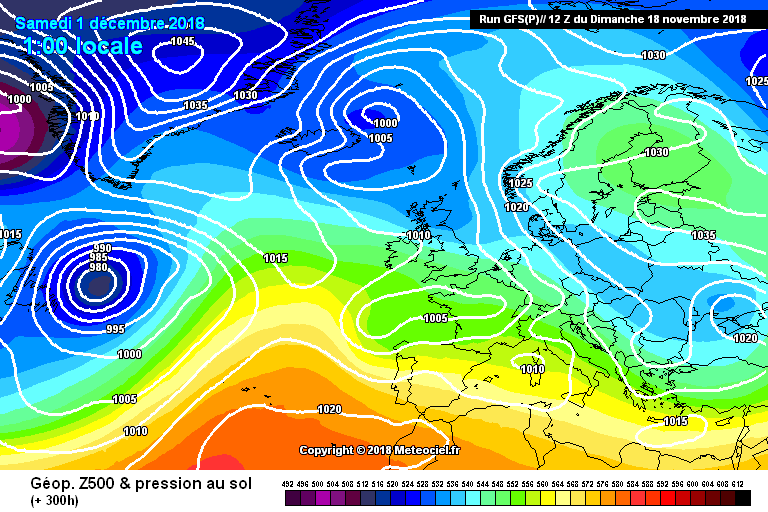 November is pushing it a bit for a decent cold spell, but by early December its definitely game! 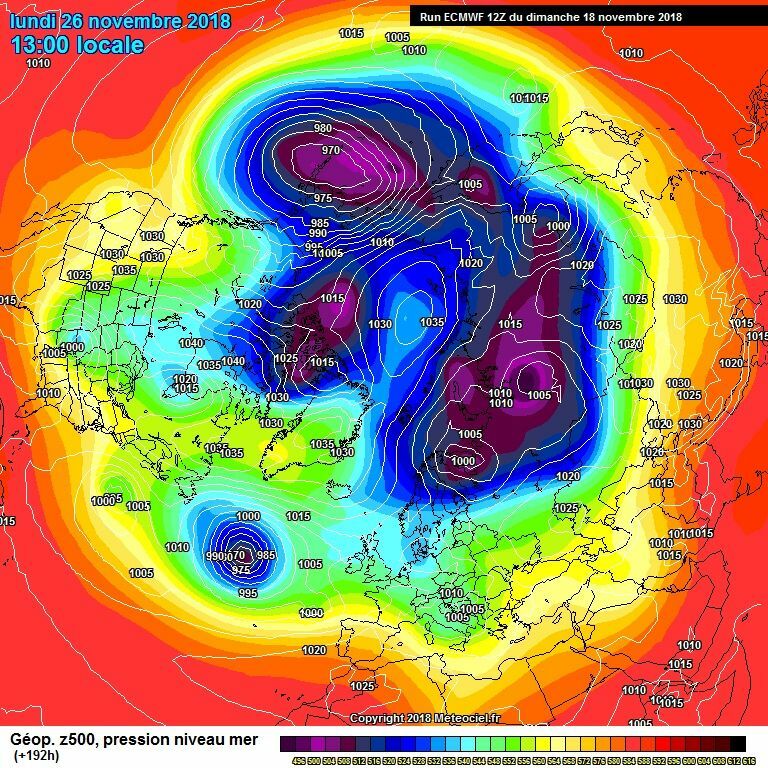 Come on ECM, you can come out trumps! Really good 144h that low looking more stretched. Am gona stick my neck out and say this is gona end up like gfs regardless of everyones excitement on the 120 and 144 hour chart! !watch that low turn into a football lol!! No football on ECM T168, in fact I'm struggling to think of a game you could play with an object that looks like that! The ejection of this shortwave is crucial, to me it looks further North than the 0z although cant put my finger on why but i still think it could turn out to be a decent run despite that. 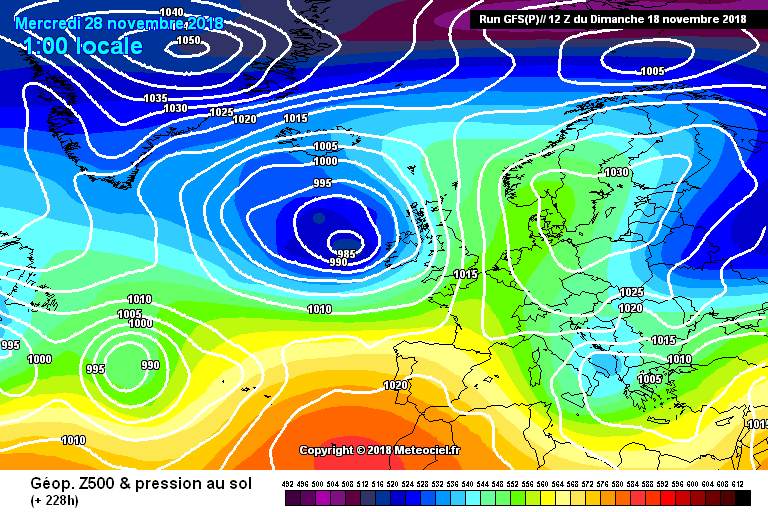 The fi is 96hr some difference with Ukmo & Ecm even at this early stage.